For a small business, the business owner may pay many business expenses on the go from their personal fund. You can use the standard procedures that we recommend for Employee Expense Claim, or use one of two options we recommend on this page below. The advantage of using the options below is that all expenses will be in the supplier’s name. 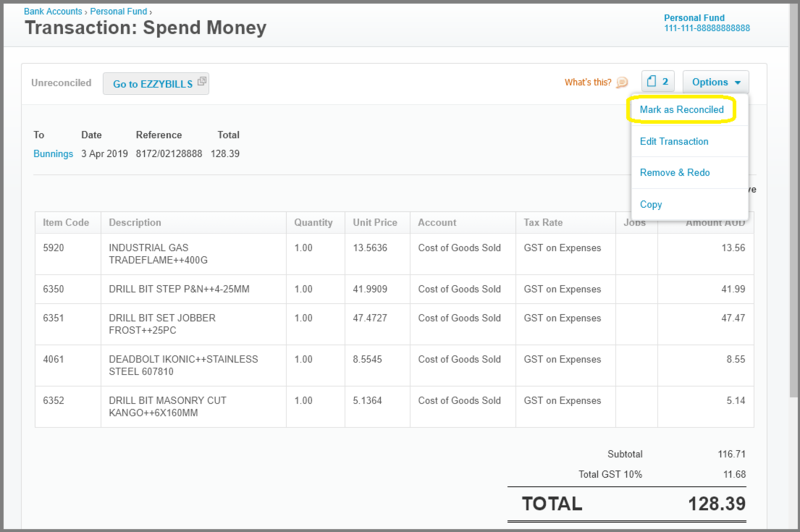 You can go to the supplier in Xero to see a summary of all expenses from this supplier. Also, recording payment only needs to be done collectively (not one for each bill), and routinely, such as once a month. If you are a business owner, ask your bookkeeper and accountant for advice on this matter. They will know your business circumstances and what is the best option for your business. (As shown below, call it something like “Personal Fund”) you will get a warning when trying this, just set it up anyway. 2. Create an alias for email/app uplaod in EzzyBills Settings. Login to EzzyBills, click Settings, in the List of Approvers table: Click +Add Approver, type in Name, Email, last 4 digit of the Personal Fund of we just set up, tick “Bypass Approval”. Then click Save changes. In this example above, you have set up an alias “pfund” to upload your expenses to this “Personal Fund” account as Spend Money transactions. 3. Upload expenses to EzzyBills, via email or EzzyBills phone app. On the go. Forward email expenses (as attachment or in body) to xxxx.pfund@ezzybills.com, where xxxx@@ezzybills.com is your unique EzzyBills email for uploading document, with “xxxx” generally a compact version of your EzzyBills user name. Use EzzyBills phone app to capture receipts (for the first time, you need to login and click the Gear icon for Settings, put “pfund” under Alias Name). All your expenses you have uploaded via email or app to EzzyBills will be exported to Xero as Spend Money transactions against this special pseudo bank card. 4. 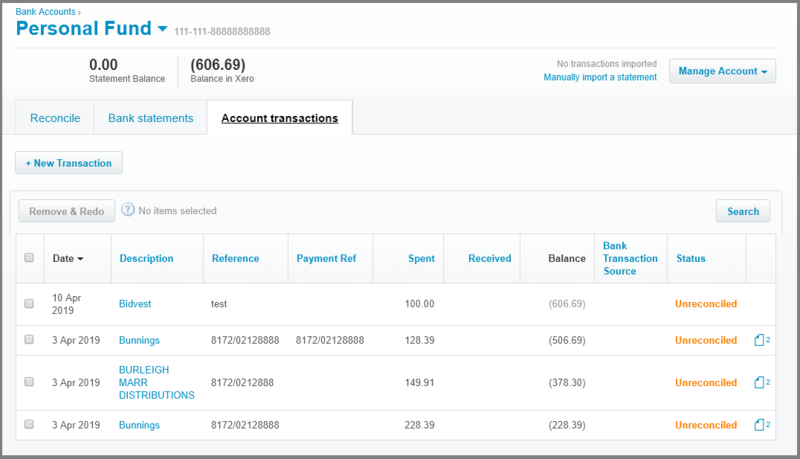 Routinely (such as once a month), your bookkeeper will login Xero, click Accounting > Bank accounts > (the card, such as Personal Fund) > Account transactions tab. All the expenses will be shown there as Unreconciled (as shown in the screenshot above). For each, click Unreconciled to open it, review/edit the account codes etc and then click Mark as Reconciled (screenshot below). You will get a warning, just ignore it. 5. You will then go ahead, physically, to pay the business owner from the business account, with the amount as the total balance of the card. 6a. Record the payment in Xero. Click Accounting > Bank accounts > (the card, such as Personal Fund). Then under Management, click Transfer Money. 6b. Click “Unreconciled” link for this transfer transaction to reconcile it. Now you have finished the whole process. The business owner will upload expenses by email, or using EzzyBills phone app to scan the receipts. Do it on the go. 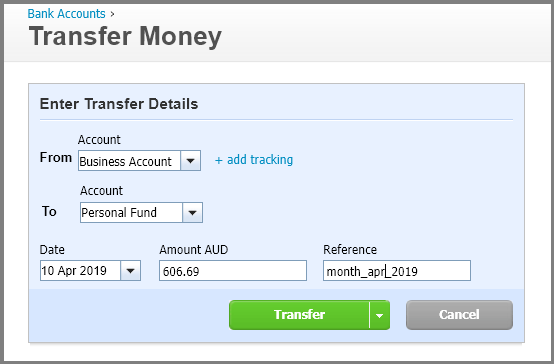 Routinely, once a month, someone (the owner or the bookkeeper) will login to Xero to review the expenses uploaded by EzzyBills (as Spend Money transactions), do the bank reconcilation, pay the owner, record the payment. Note: Later on in your bank feed for the Business Bank account, you will see the transfer again. Just click OK for the matching. 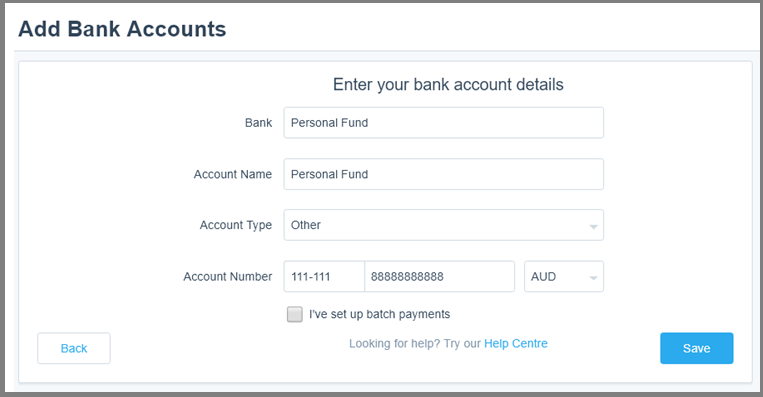 You shall generally follow steps below to set up a process in Xero. (EzzyBills will bring in all of your expense as a normal draft bill). 3. Routinely, you login to Xero, review the draft bills, and click Approve. The bills will then sit in “Awaiting Payment” folder. 4. 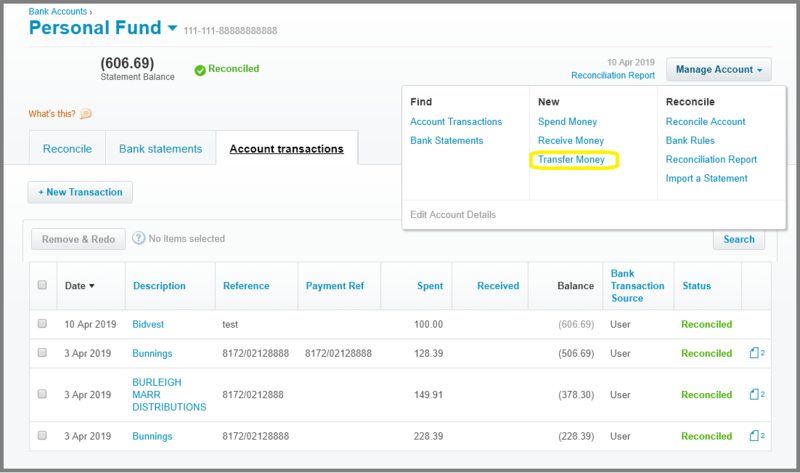 Do your bank reconciliation routinely: click Accounting > Bank accounts > (the credit card) > Reconcile tab, you will see the auto-matching Xero has done for you for the transactions that EzzyBills has created bills for you. Just click OK to finish the reconcile.